Source, the team behind popular tools such as CSS Hat and Enigma64 has teamed up with free texture site Subtle Patterns and created a fantastic new Photoshop plugin. The new Subtle Patterns Photoshop Plugin syncs directly to the immense library of texture and pattern files, making them all directly available within Photoshop for easy implementation. Source has kindly donated three licenses to give away to Access All Areas members. Log in to find out how to be in with a chance of winning. 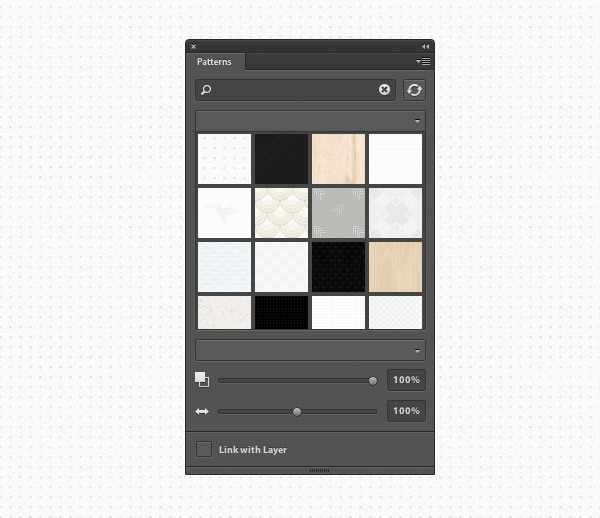 The new Subtle Patterns Photoshop Plugin injects over 300 patterns directly to Photoshop. With just a single click each pattern can be instantly applied to your design, and the entire library will remain linked to ensure you’re constantly up to date with the latest designs. Keep up to date with all the great projects by Source by following them on Facebook and Twitter. Source are kindly giving away 3 licenses of their Subtle Patterns Photoshop Plugin. To be in with a chance of winning, simply add your comment below giving a brief insight into why you would love to get your hands on this cool resource. The three winners will be chosen at random and notified by email on Friday 23rd August 2013. Congratulations to Sassy, Alfonso and Michelle who were all drawn out as lucky winners of the Subtle Patterns Photoshop Plugin. Adding the slightest background pattern to a design can make a world of difference, and having this plugin would make it easier. Oh man! I use these all the time when creating graphics for web. This is honestly worth buying even if you don’t win. Subtle Patterns is a great site and these guys get nothing but praise from me. This plugin would save me the time of having to browse for the subtlepatterns I want online. At the same time it would help me create top-notch quality visuals with just that extra bit of texture and flair. This plug in would be so useful to my work and enhance my layouts for an uber cool look. Thanks in advance. Good luck to all. Would love to try it out! I love experimenting with textures and this plugin would make me feel like a kid in a candy store! These would be used everywhere!! Literally, I would overlay, screen, darken and multiply with most of my graphics if I won this giveway!!! Fingers crossed! The possibilities are nearly endless as to how I would use these –media backgrounds, though, in the music scene, tend to be inundated with poor textures and loud patterns; I would LOVE to keep things fresh and subtle with these plugins! THANKS IN ADVANCE FOR THE GIVEAWAYS –no matter who wins! Wow. This would be a GREAT timesaver in my daily work routine. Honestly… I’ll propably buy it immediately if I don’t win. Would be over the moon to win this – and it would completely turnaround how I work! It would save an incredible amount of time, not to mention give me an enormous library of beautiful textures to work with. Flat Design BE GONE! It adds such a nice extra touch to have subtle backgrounds on a site. Wonderful giveaway!